Manama: Bahrain and Saudi Arabia have reiterated their call that Qatar should be committed to the Riyadh agreement and its executive mechanism and to the Riyadh Supplementary Agreement. 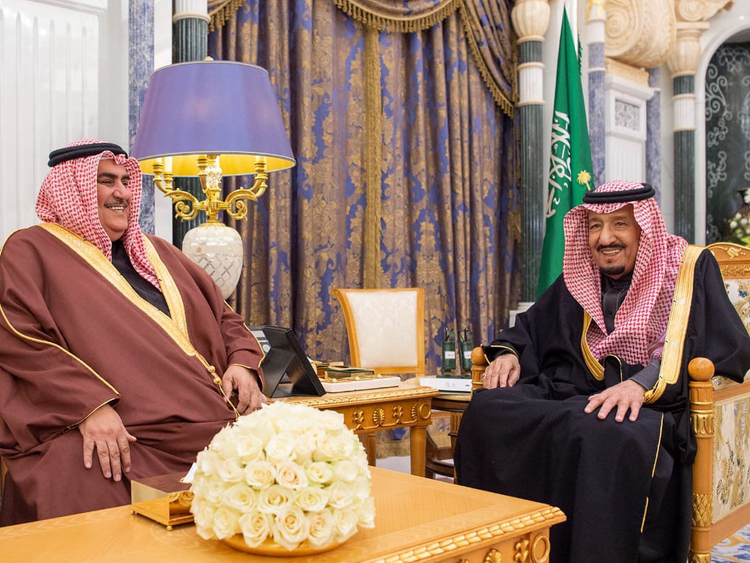 Qatar should also commit itself to the demands made by Bahrain, Saudi Arabia, the United Arab Emirates and Egypt in order to end the crisis, Bahrain’s Foreign Minister Shaikh Khalid Bin Ahmad Al Khalifa and Saudi Arabia’s State Minister for Foreign Affairs Ahmad Al Jubeir said. The two officials held a meeting on Tuesday in the Saudi capital Riyadh where they reviewed bilateral relations and the latest developments in the region. The Qatar crisis emerged in the public eye on June 5, 2017 when the Quartet announced they were severing their diplomatic, trade and travel relations with Qatar after they accused it of failing to comply with the Riyadh agreements by supporting extremists and interfering in the domestic affairs of other countries. The agreements were signed by Qatar and other Gulf Cooperation Council (GCC), a six-nation alliance that comprises Bahrain, Kuwait, Oman, Qatar, Saudi Arabia and the United Arab Emirates, in 2013 and 2014, but were kept secret mainly due to the fact they were agreed in private. However, the agreements were revealed to the public by CNN in July 2017. A supplemental document to the agreement that specifies the implementation of the agreement was signed by the countries’ foreign ministers. However, in March 2014, Bahrain, Saudi Arabia and the UAE pulled out their ambassadors from Doha, saying that Qatar was not fulfilling the pledge it signed in the agreement and pursuing a policy that was not in tune with the overall principles of the GCC. The countries were able to reach an accord and the second Riyadh agreement, dated November 16, 2014, was signed by the King of Saudi Arabia, the Emir of Qatar, the Emir of Kuwait, the King of Bahrain, the Crown Prince of Abu Dhabi and the Prime Minister of the UAE. The ambassadors were reinstated following the agreement, but were recalled in 2017 as diplomatic relations were cut off. Mediation efforts led by Kuwait and supported mainly by the UN and the US have failed to make any incremental changes to narrow the gap between the two sides.